Supplement Your Family’s Income by Sharing Your Excitement for Young Living Essential Oils! While you may choose to become a wholesale customer with Young Living just to benefit from the wholesale pricing, please don’t minimize the opportunity you have to earn extra income by telling your friends and family about the oils you love! Are you a busy mom/daughter/wife who doesn’t have a ton of time or money to invest? I am. You’re not going to find me making things to sell online! In fact, I don’t know how to sew, knit, crochet, make soap, or create jewelry – at least not anything good enough to buy! I also don’t have the time or sanity to manage the overwhelming job of receiving and shipping products. Therefore, I’m glad for the opportunity to share information about a product I already love, trust, and happen to know something about. This is a good option for me as a busy homemaker and I’m thinking it may be a good option for you too! When you find something that you love to do—something that hardly feels like work because you enjoy it so much, you have found a treasure! And, I have found that, for me, essential oils are like that too! Turning my love for essential oils into a home business has been a win/win situation for our whole family. Not only do we get to enjoy the health and pleasure benefits of essential oils, but we get paid for sharing them with others! How fun is that? GET STARTED! GET STARTED NOW! In some ways, your Young Living business is more like a well-organized referral program than a business. Again, I don’t have to keep inventory, sell products, exchange money, deal with shipping, or handle book keeping. Young Living does all of that for me. I get to do the fun part: Use the oils with my family, as well as write and talk about them whenever I have the chance. As you learn more about the benefits of your oils, as you use them, as you share them with others, as you talk about them, and as you write about them, you’ll create a home business that benefits your own family, as well as those you come into contact with on a daily basis. 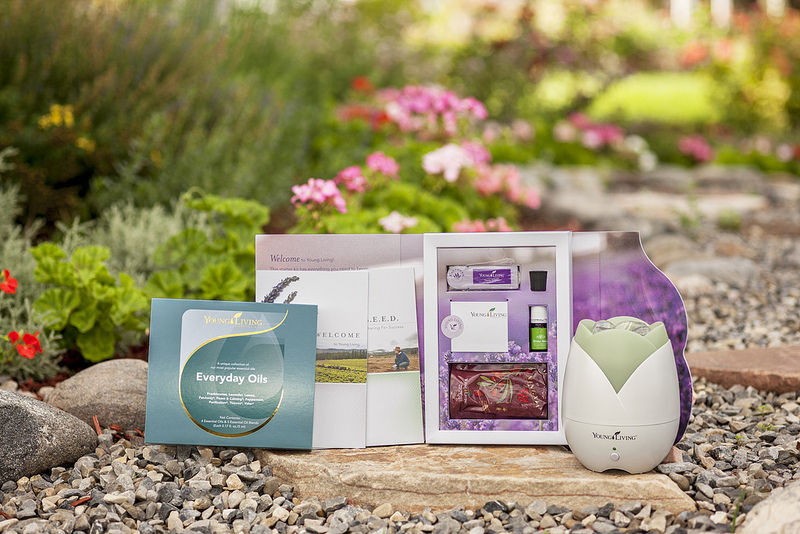 Essential oils will become part of your everyday life! Though the oils will sell themselves, you’ll need to put forth a tangible effort to help others to see and experience their value. Hold on to your hat… your income potential could be staggering! Join the Essential Rewards Program and start to budget your oils while enjoying discounted shipping and earning points for FREE oils. You will find this to be the most deliberate, cost-effective, and controlled way of building your collection and getting to know your oils. This will also help qualify you for commissions and bonuses. Get started NOW by purchasing the Premium Starter Kit featured below. Click on the image to find out more about becoming a wholesale member!